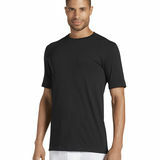 Jockey Mens Undershirt is ideal for working out or athletes. 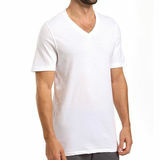 Stay cozy and comfortable for this undershirts. An everyday essential, made from 100% cotton with a stay dry finish to keep you comfortably dry. Jockey Mens Undershirts is perfect for layering under other styles of shirts or worn alone for lounging around at home, these shirts fit the body like a glove. 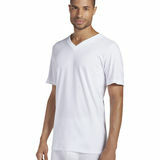 Jockey Mens Undershirts has reinforced collar and lightweight feel, give way to a long-lasting shape and stay -flat look. Choose from a variety of colors, fit and styles to make any shirt or sweater more comfortable.